The films pace is excellent, far better than Elysium. For a 2 hour film it did not feel like it. Never lost my attention and I didn’t see any wasted screen time, all relevant. The action is in Blomkamp style spectacular to watch, lots of guns and robot action. Funnily enough I didn’t even know this was a 15 (R), well until the end, it gets really clear at the end. 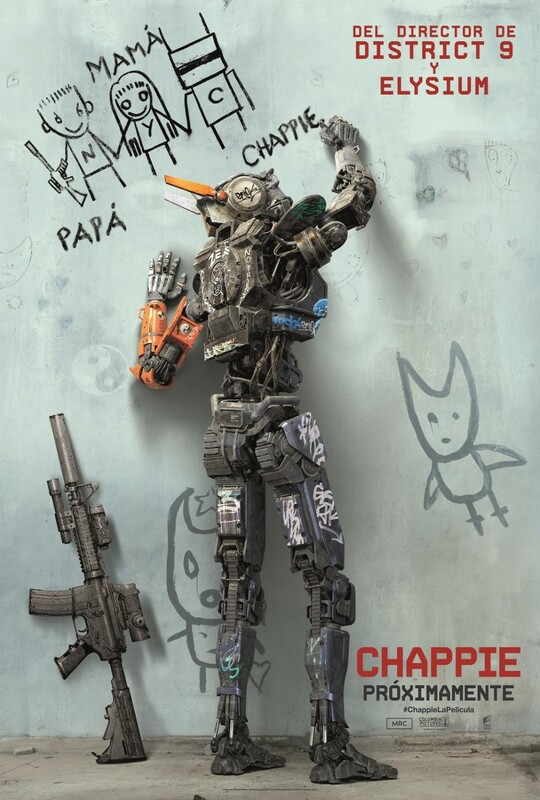 Chappie was a delight and even though he has no real facial expressions to speak of you get every emotion and feeling to understand the character. The film was for the most part quite funny, I laughed a good few times and it lulls you into feeling like this isn’t a dystopian story. The acting was solid and the cast all tried hard, sometimes you get these real lazy performances in big star casts but the crew is pretty solid. Even the musicians turned actors who play Chappies family. Jackman’s character is kind of hard to pin down for most of the film, a villain through and through but he has no doubt he is in the right. 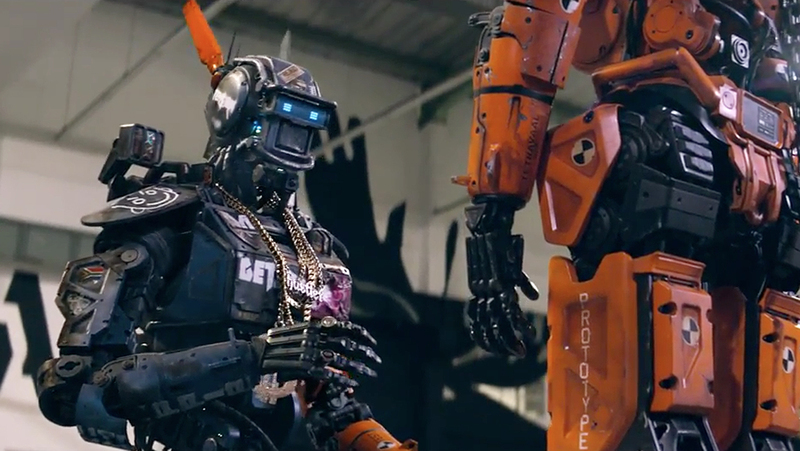 My Favourite scene would have to be either the big battle near the end with Jackman’s bot verses Chappie which was excellent and gave the film the very deserving R rating, or when they are teaching Chappie about knifes trying to trick him into thinking they just put people to sleep (Out of context that sounds evil) but then Chappie starts trying to put them to “sleep”. Not sure if I would like this film or not, maybe I’ll wait for it to come on Netflix. I’ve also nominated you for the Versatile Blogger Award. You don’t have to accept but have a look at the link if you’re interested. Dude, I am with you in the minority on this one. I totally loved it, possibly even a little more than you. Thought it was a really original flick. This movie has seemed devisive. No matter what, I think we’re all looking for another District 9 and unlikely to get it. Am still waiting for his Halo movie! Yes, you’re right. The ending is similar to District 9 but I like it. Good review. I’m glad you liked Chappie. I liked it too. Cool. Glad we agree. Sorry for late reply. It looks so derivative. Short Circuit crossed with Robocop. The evil robot even looks like ED-209. I was going to skip. But I’ve come to trust your reviews, so you’ve just ensured that Blomkamp gets my money. Just one question: should I run out and see this on a big screen, or will it play well at home? Sorry for late reply Peter. I’d say it was okay to wait. It’s a good film. Not great. The visuals are spectacular so from that stand point a big screen is good but it’s not something I’d scream from the roof tops for people to go see. Good review Tim. 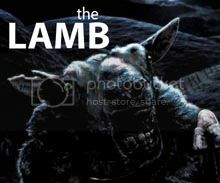 A rather strange movie, but it was hard for me to ever lose interest in it. Thank you. Glad you liked the film a little at least. Didn’t feel 2 hours to me. I’m not a big fan of this one. You’re right about it having a bunch of great ideas such as the negative effect of parents/creators on their offspring and it was interesting to see it explored through a robot but I felt that the constant barrage of action, one-note characters and the way the film couldn’t settle on an appropriate tone (either ultra-violent or kid friendly) meant that I didn’t get much from it and was impatient for it to end! Glad you liked this mate. I must admit, I was very underwhelmed. Have added my review if you fancy a read. Interesting review, been hearing decidedly mixed thoughts on this from the reviews I have read. Hope you enjoy it though.